Our people, our volunteers, are the life-blood of our organization. Without them, we cannot deliver our Vision or Mission. All volunteers must complete pre-service training. We complete training in 4 weeks: Tuesday and Thursday evenings and a full day Saturday. This is then followed up with one on one training and mentorship during your first year as a volunteer. The time commitment to a case varies depending upon the stage of the case. 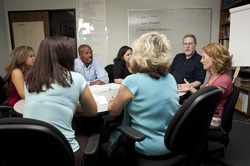 Volunteers sometimes say that there is a greater amount of work in the beginning of the case, when they are conducting their initial research. On average, you can expect to spend approximately 10-12 hours a month on a case. No special background or education is required to become a CASA volunteer. We encourage people from all cultures and professions, and of all ethnic and educational backgrounds. Once accepted into the program, you will receive all necessary training in courtroom procedures, social services, the juvenile justice system and the special needs of abused and neglected children. 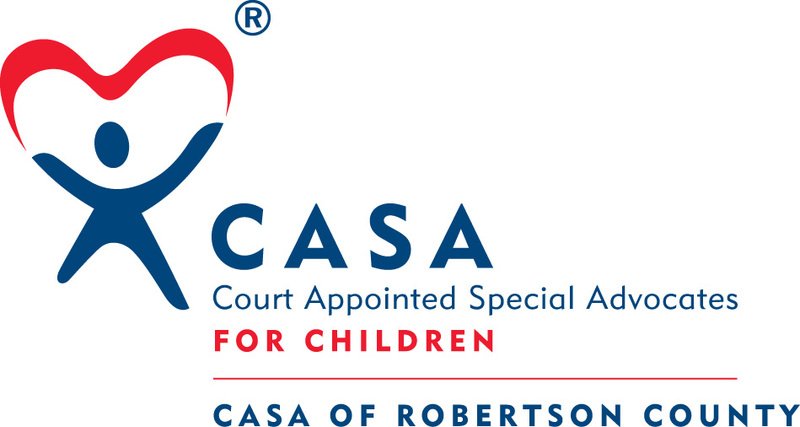 You will also receive guidance, support, and supervision from CASA staff for the duration of your child(ren)'s case. Review documents and records, interview the children, family members and professionals in their lives. Provide written reports at court hearings. Advocate for the child's best interests and provide testimony when necessary. • Explain what is going on: Help the child understand the court proceedings. Seek cooperative solutions among individuals and organizations involved in the children’s lives. Be the glue that connects the pieces in a complicated child welfare system. Ensure that the children and their family are receiving appropriate services and advocate for those that are not immediately available. Bring concerns about the child's health, education, mental health, etc. to the appropriate professionals. Check to see that plans are being followed and mandated review hearings are being held. • Keep the court informed: Update the court on developments with agencies and family members. Ensure that appropriate motions are filed on behalf of the child so the court knows about any changes in the child’s situation. All Board Members are expected to be active participants in the organization through board meetings, committee activities, and other related activities. 1. Become knowledgeable about the organization through attendance at monthly board meetings and understanding of by-laws and the personnel policies and procedures. 2. Recruit possible nominees to the Board who can make contributions to the work of the Board and the organization. 3. Serve on committees set forth in the Robertson County CASA by-laws. 1. Interpret the organization to community members. 2. Develop linkages through community partnerships. Faithfully read and understand the organization’s financial statements and otherwise help the Board fulfill its fiduciary responsibility. Assist in resource development by providing contacts through personal and/or business associations.